In an age of much mothering advice but few admirable role models, award-winning Catholic journalist Marge Fenelon delves into ten instances--and corresponding virtues--of Mary's life that reveal her as the ultimate example and companion for the modern mom. In this first and only book to offer Mary's life as a template for living as a faithful Catholic mother today, the Mother of God is presented as the ideal guide for the vocation of Catholic motherhood. 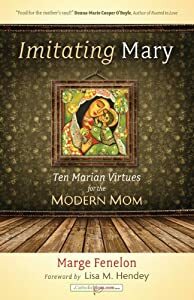 A new addition to the CatholicMom.com Book series, Imitating Mary unpacks Scripture and Catholic tradition to examine ten biblical climaxes, including Mary's betrothal to Joseph, the Annunciation, the scene at the foot of the Cross, and Pentecost. In these scenes, Marge Fenelon introduces readers to a Mary who faced challenges familiar to every mother--impatience, frustration, sacrifice, and grief--and demonstrates how, in the face of these ordinary obstacles, Mary's response was an extraordinary example through the virtues of patience, joy, trust, and faith. 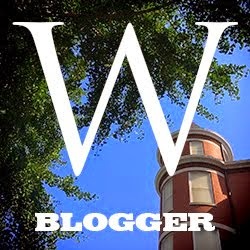 As a blogger, there are times I have to decide if I am going to write a negative review, or just get rid of the book and forget I ever saw it. Sometimes the decision is made by those who sent me the book--they want a review of some sort, so they get one. Sometimes I make the decision and that's why I am writing a negative review of this book. Why am I bothering? Because when I went to Amazon I could only find four and five star reviews. That should tell you that there are people, (even people whose blogs I read) who have read this book and liked it, so I'm not going to tell you it was a bad book or that no one should read it. Rather I'm going to tell you what I didn't like, so that if you think like me, you can decide whether this is the book for you. I guess it comes down to whether "sinless" means "perfect". If I miss a chance to do something good, have I sinned? Does the fact that Mary never sinned mean that she was all loving, all giving, all,well, perfect? Because that's what this book paints her to be. For example, when talking about the wedding at Cana, Marge Fenelon talks about Mary always being concerned about others, noticing what they need. She said that Mary must have been one of the most honored guests there because she was so kind, so joyful, so full of hope, so loving. Fenelon makes some assumptions about Mary that appear to be erroneous and/or without much scriptural basis. For example, she talks about Mary dancing with Jesus at the wedding at Cana, noting that it would have been a noble and beautiful thing for a son to have danced with his mother. While today, our "normal" dances are a male and a female holding each other and, in some fashion, moving to music, Jewish folk dances are traditionally single-gender affairs, or group functions. It was far more likely that Jesus danced with Peter, James and John than with Mary. Marge Fenelon then goes on to talk about how the dances Jesus and Mary did would have been holy and wholesome and how it is good for us to enjoy pastimes, it is the kinds that matter. She talks about how they have family movie night, and how she and her husband used to watch more adult fare after the kids went to bed until one of the kids told the other that the parents wanted to see a movie that was not good for them to see--that the parents were trying to protect them. She then decided that if it wasn't good for the kids to see that stuff, it wasn't good for her and her husband. I respect her right to make that choice, and she did say that the movies weren't sinful, but really?? The last movie I watched was Les Miserables and it definitely wasn't for kids (see my review) but to say it wasn't wholesome for adults? In short, I found this book to make Mary too good to be true rather than an approachable mother. I didn't finish it so I won't give it a grade. I really appreciate your openness and honesty when you write a review. I definitely know what you think and why. I find that helpful, as well as refreshing.